For its excellent wear resistance, heat resistance and tensile strength, tungsten carbide is often used for making carbide mining inserts. It is made from raw material and is marked by good performance, long usage life, excellent wear resistance and impact toughness. Our cemented carbide inserts are widely used in mining and blast hole drilling. 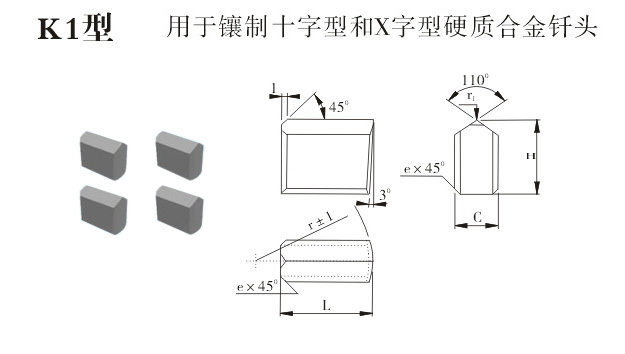 We offer various types of carbide mining inserts that are suitable for various rock formations. Recommended grades include YG8C, YG11C, YK20 and YK25. K0 and K1 are recommended type. K0 is used for making chisel drill bits. K1 is used for making cross and X-shaped bits. 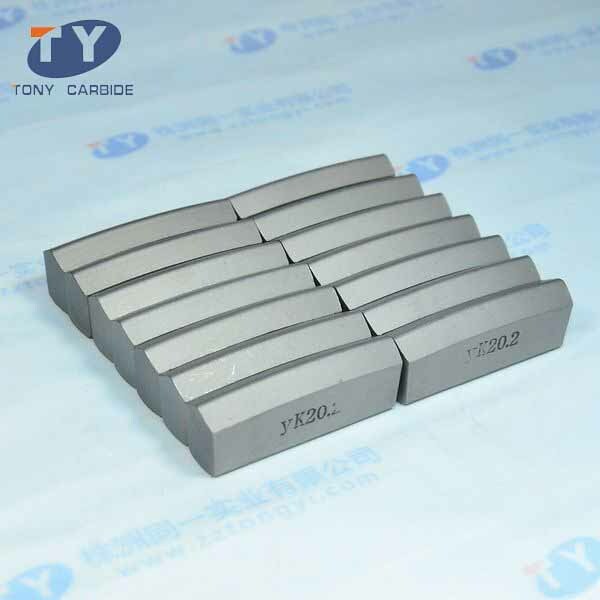 Tongyi Industry provides a broad range of cemented carbide inserts. Both standard and non-standard or custom carbide mining inserts are available in stock. They are sold at competitive prices. 1. Cemented carbide inserts characterize longer working life than similar products. They can accelerate digging speed profoundly. 2. 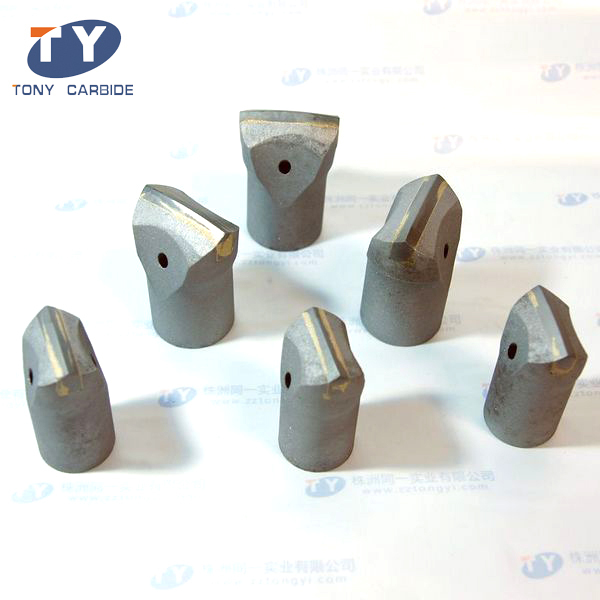 We are able to produce custom carbide mining inserts in our own factories according to our clients’ requirements. 3. Samples and quotations of our cemented carbide insert are available if required, and we promise fast delivery. 4. All types of carbide mining inserts are available in our company, which makes it enjoy the price advantage. 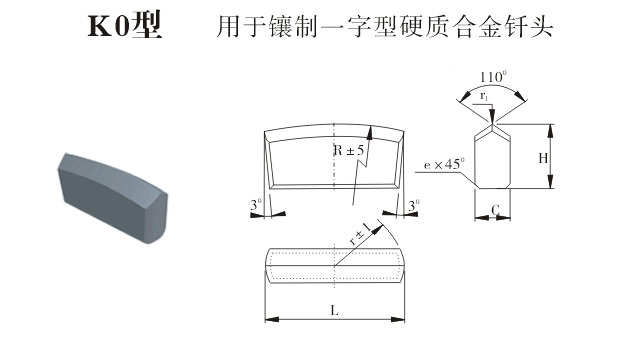 Using our special design, we are able to reduce the weight of individual products without degrading its performance, further reduce the material cost of drill bits. 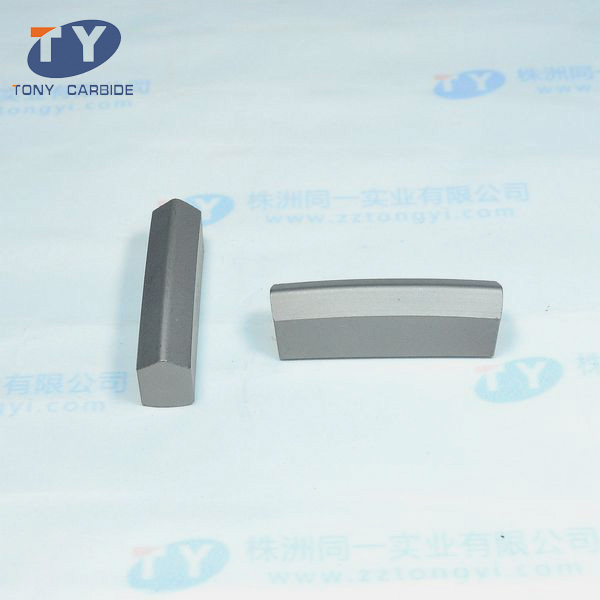 Founded in 2002, Zhuzhou Tongyi Industry Co., Ltd. is a reputed professional manufacture of carbide products. 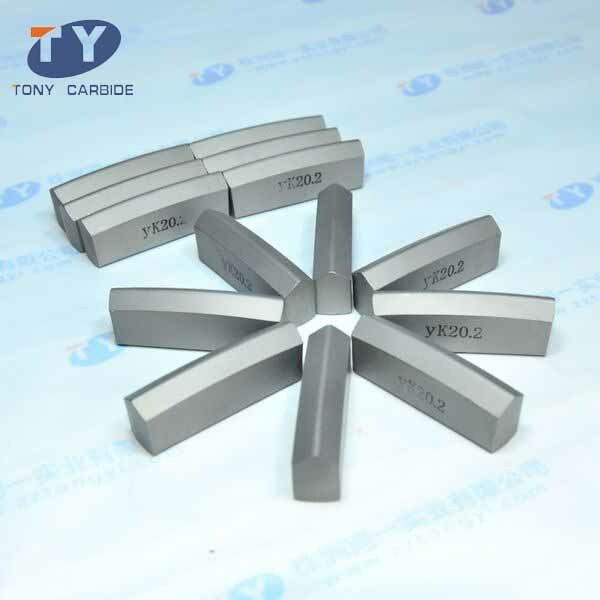 We supply tungsten carbide button, carbide mining inserts, tungsten carbide drawing die, carbide anvils, carbide rods, carbide blanks, carbide nozzles, etc. We can also provide customized services according to your requirement. Over the year, our cemented carbide inserts have been exported to many countries in the world, such as Vietnam, Indonesia, Philippines, Ukraine, the United States, Canada and Brazil. If you are interested in our products, please do not hesitate to contact us.